You can earn 515 yards with this purchase! 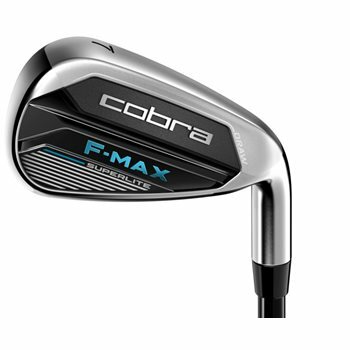 The F-Max SuperLite Irons is our lightest, most forgiving irons that delivers an unrivaled distance and accuracy for moderate swing speeds. With premium, chrome plated irons that last longer under normal use. Also features more offset in the long irons where golfers require the most forgiveness and less offset in the wedges that require more control and precision.